This cover will help prevent bottle breakage. Top rack dishwasher and sterilizer safe. 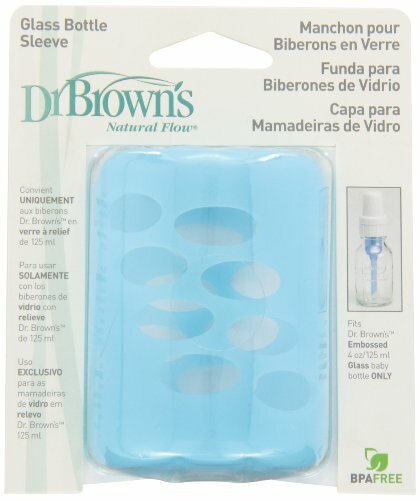 The Dr. Brown’s silicone bottle sleeves are designed to work with the Dr. Brown’s Original Standard Neck Glass Baby Bottles. The bottle sleeves are made from 100% silicone. The cover is easy to grip and helps prevent bottle breakage and heat transfer. They are top rack dishwasher safe, sterilizer safe, and BPA free.